Lisa R. Fought, 58, of Woodville, OH passed away peacefully on Friday, January 25, 2019 at Countryside Manor in Fremont, OH. She was born on March 1, 1960 to Renfred and Charlotte (Knisley) Wollenslegel. Lisa worked for Terra Community College, Wynn Reeth as a Home Health Manager and Cambridge as a Home Health Aide. She enjoyed cooking, writing poetry and art. Lisa was always helping other and had a kind heart. 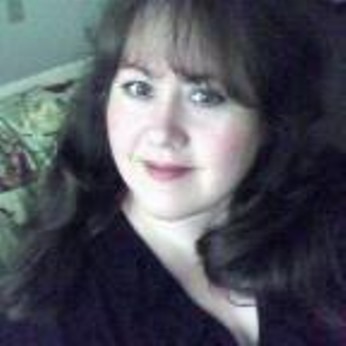 Lisa is survived by her daughters, Rochelle (Harry) Bodnar, Pittsburg, PA, Kristen (Harold) McCall, Fremont, OH; sister, Laura (Jose) Flores, Wichita, KS; uncle, Larry Wade; nephew, Miguel Flores; niece, Belinda Flores; cousins, Heather, Greg and Jason Wade; granddogs, Bella, Dexter and Lola. She was preceded in death by her parents; aunt; Betty Wade and nephew, Daniel Flores. Visitation: Tuesday, January 29, 2019 from 4 p.m. to 6 p.m. at Wonderly Horvath Hanes Funeral Home and Crematory, 425 E. State St, Fremont, OH 43420. A Memorial Service will take place at the funeral home following the visitation at 6 p.m.
Memorials can be made in Lisa’s honor to her family or ProMedica Hospice of Memorial Hospital. Lisa was one of the most loving and giving women I have ever known. We spoke many times on the phone, and although never met in person, spent many hours chatting with one another. I felt like she was my sister in spirit, I loved her dearly and she will be so very missed. I am thankful that she transcended peacefully, and that her pain and suffering has come to an end. Our loss is truly, Heaven’s gain. Until we meet again, my friend, Fly with the Angels. Kristen, so sorry for your loss. You’re in my thoughts. Heaven has gained another angel. Lisa was such a sweet soul. She was a great provider for the individuals she worked with. Rest in heaven Lisa. Kristin, I am so very sorry for your loss . Your Mom sounds like a wonderful woman. Prayers and hugs. So sorry for the loss of your Mom. May God wrap your family in peace and love. I remember Lisa from high school – such a sweet spirit and what a beautiful smile! I am sorry for your family’s loss.